The lovely Jo from Darn it and Stitch, in Oxford asked me if I would expand into a chunky yarn in time for Christmas, and of course there was only one answer – YES! The Yarn is British Bluefaced Leicester plied with a cotton thread. It’s slubby and squishy and soft and knits up like lightening on 10mm needles (which Jo stocks as straight pins and double ended needles). 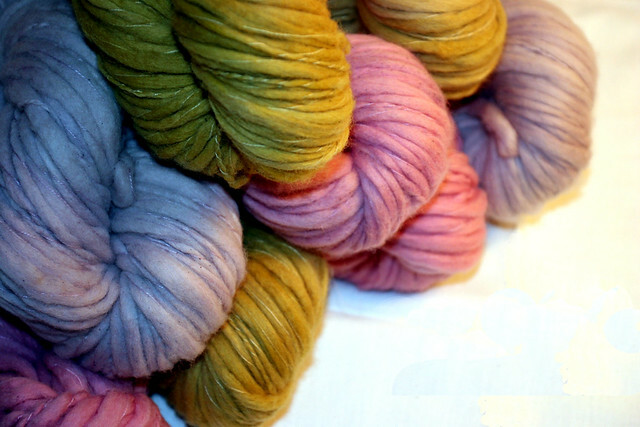 There are approximately 100m per 100g (for £14), and a single skein is enough for a cowl, or hat or chunky mitts. Perfect for that last minute knitted Christmas gift, or that evening when you’re sick of knitting for everyone else and just want to whip up something warm for yourself. 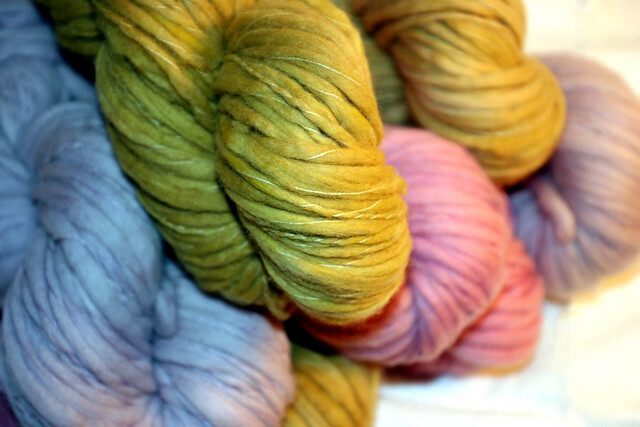 Currently this yarn is exclusive to Darn it and Stitch and won’t be stocked in my online shop. Next week I’ll show you the rest of the colours and the cowl that I knit up so you can see the yarn in action. That yarn looks beautiful, I love yarn that knits up quickly! HOW EXCITING! I love it, the colours look fab and you know I love me some chunky yarn. I'm thinking yess a cowl…. I love everything about this yarn, the colours are perfect and I love a chunky yarn. I know this is from years ago, but I’d really love to see a blanket or cushion if you made one!